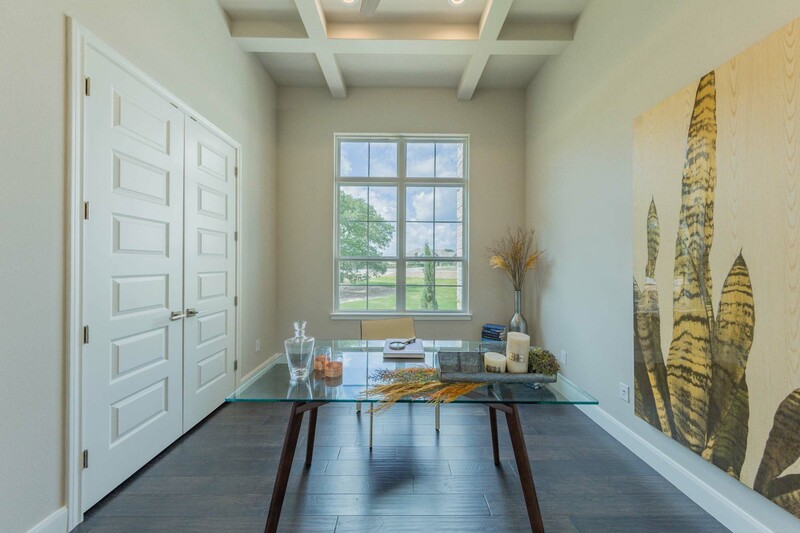 The inspiration for the staging selections for 1250 Vintage Way was derived from the concept that it would be a model home for the Builder. 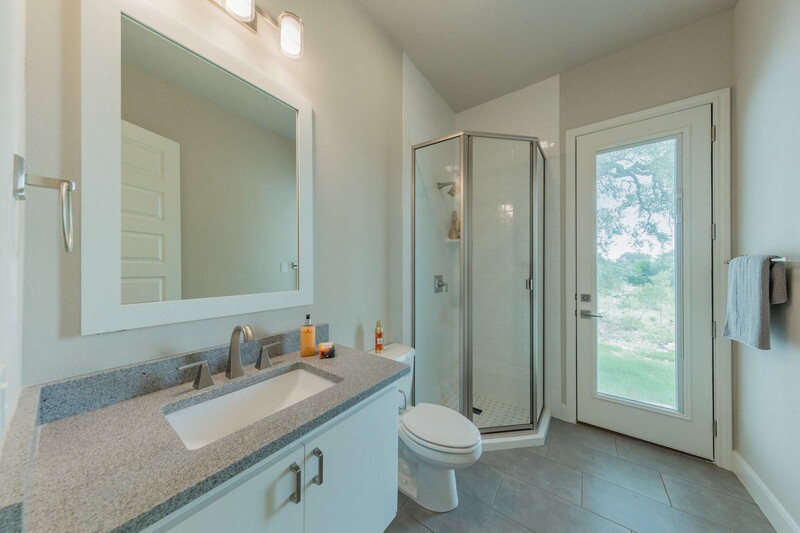 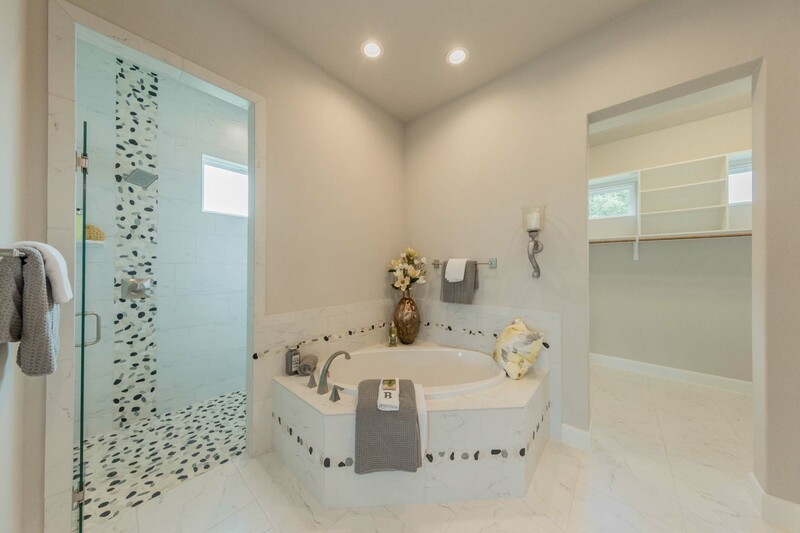 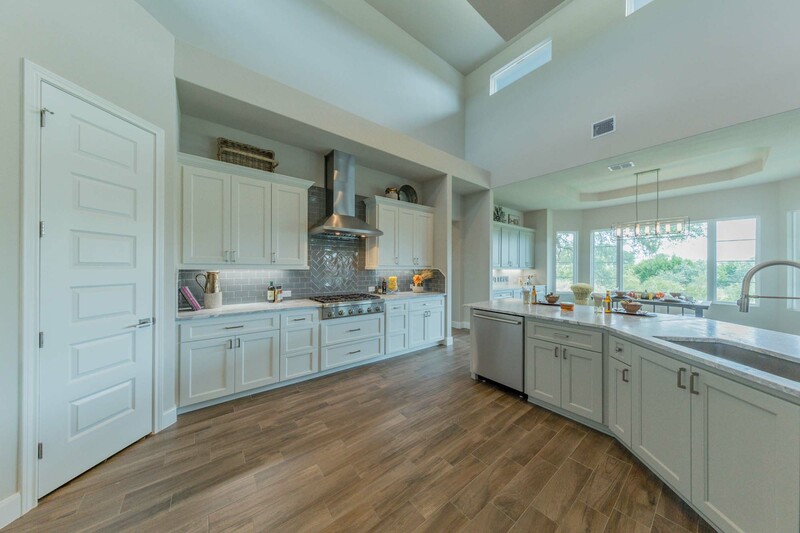 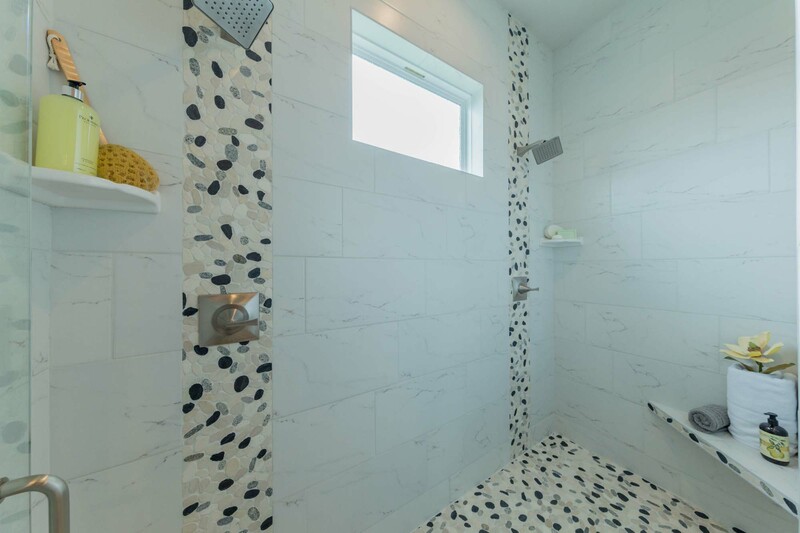 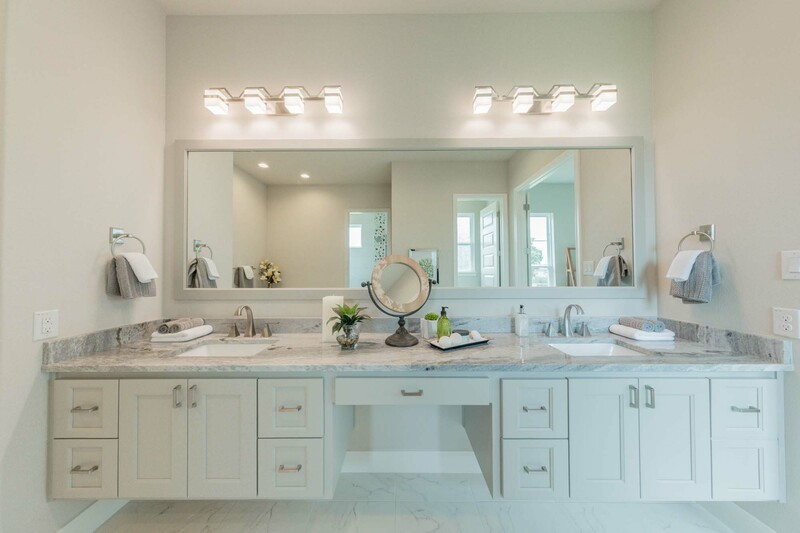 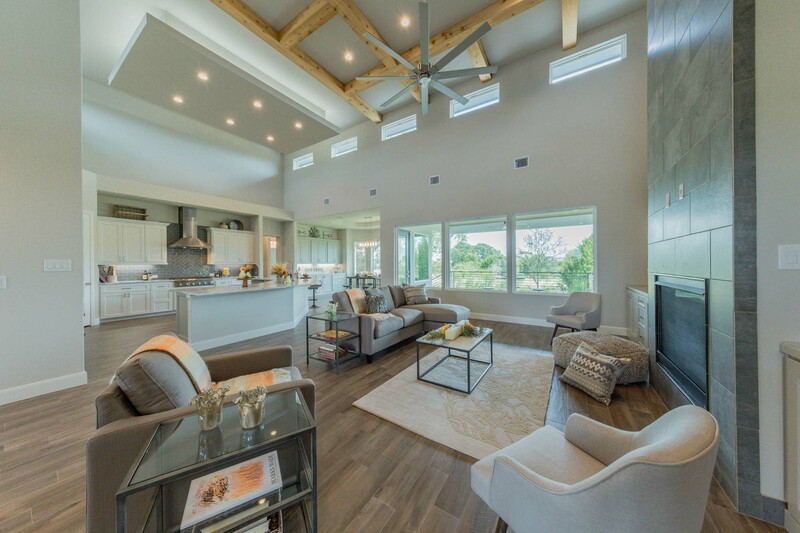 Chad Schulz, president of Buttrum Construction, wanted RLO Design, LLC to develop a transitional-to-soft-contemporary style that reflected the finishes already in the home. 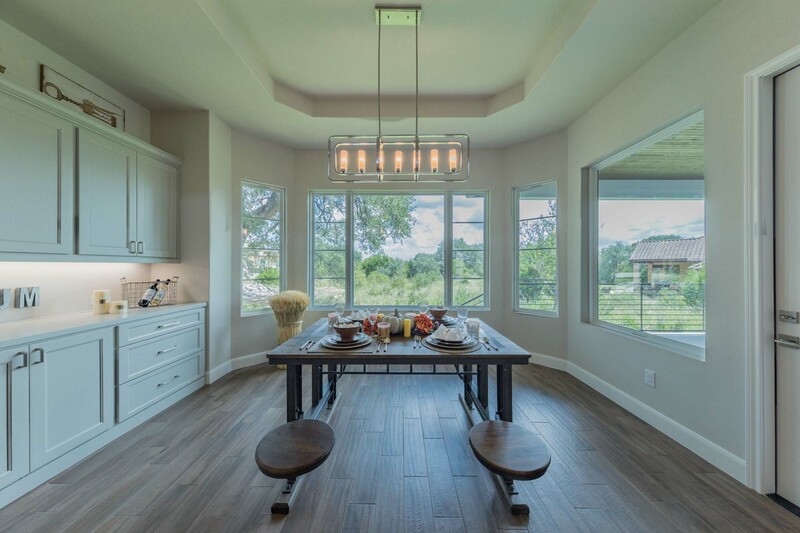 It is a great compliment to the Vintage Oaks Ranch and the always growing town of New Braunfels. 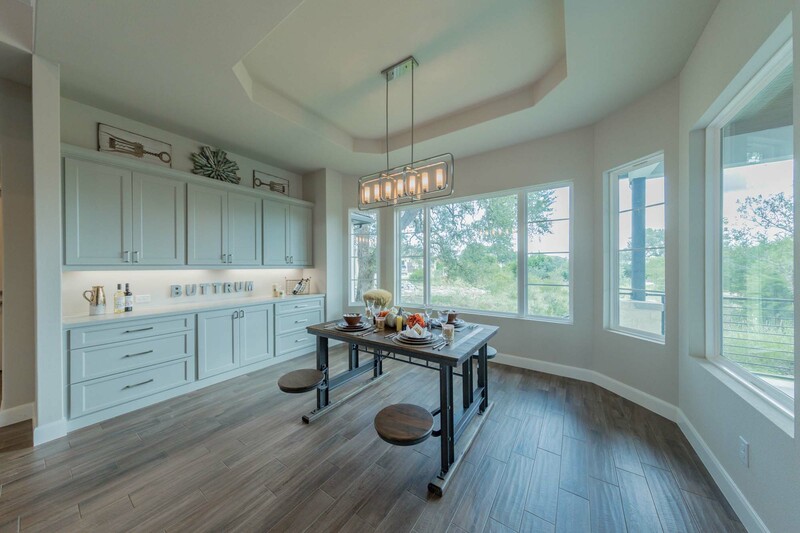 RLO Design used its statewide resources for the project to ensure a unique and personable style; embracing the idea that prospective home buyers would need to experience the one-of-a-kind craftmanship of BC homes and relate to the décor. 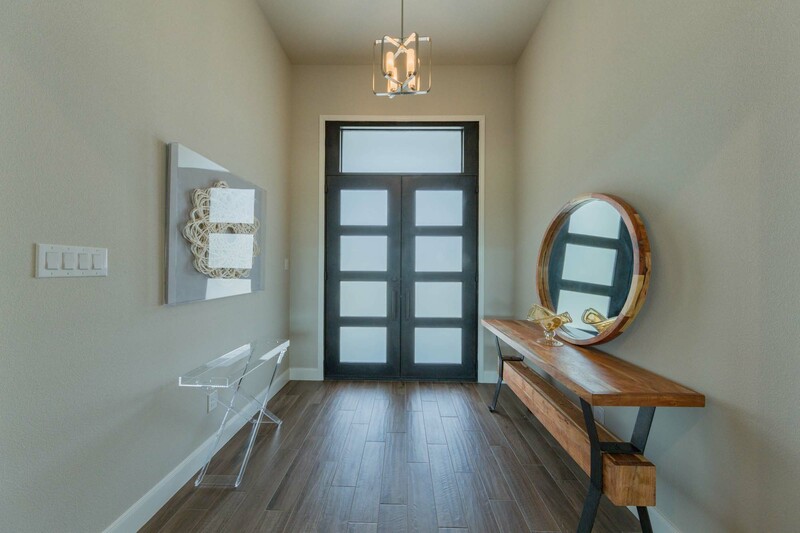 Soft greys and tanned tones are high-lighted with bursts of yellow and orange throughout the spaces. 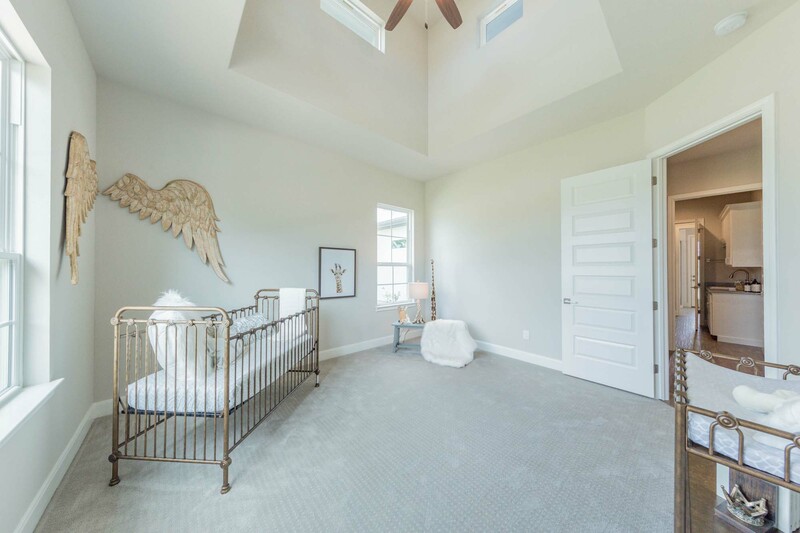 Organic artworks soften the master suite. 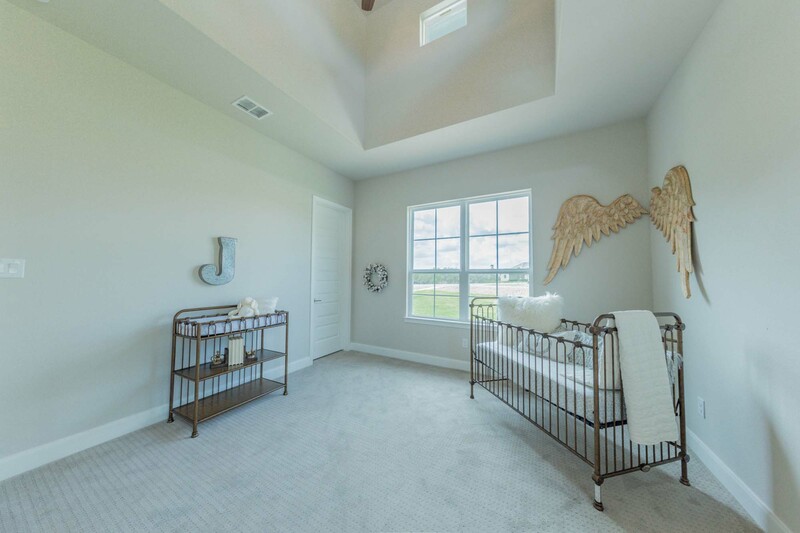 Real wood toy blocks and graceful, over-sized angel wings give the guestrooms authenticity and earthy flare. 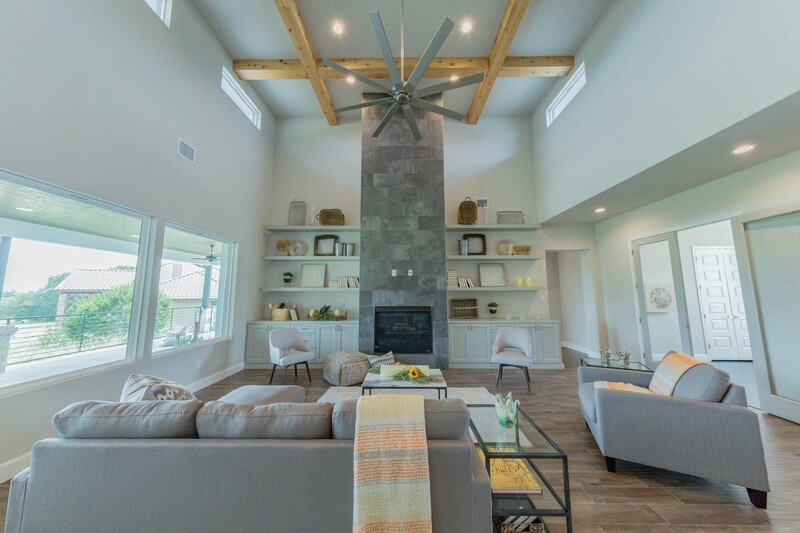 To honor the home’s location, transitional, farmhouse accessories were placed throughout the main living area blending with the simple lines of the furniture pieces. 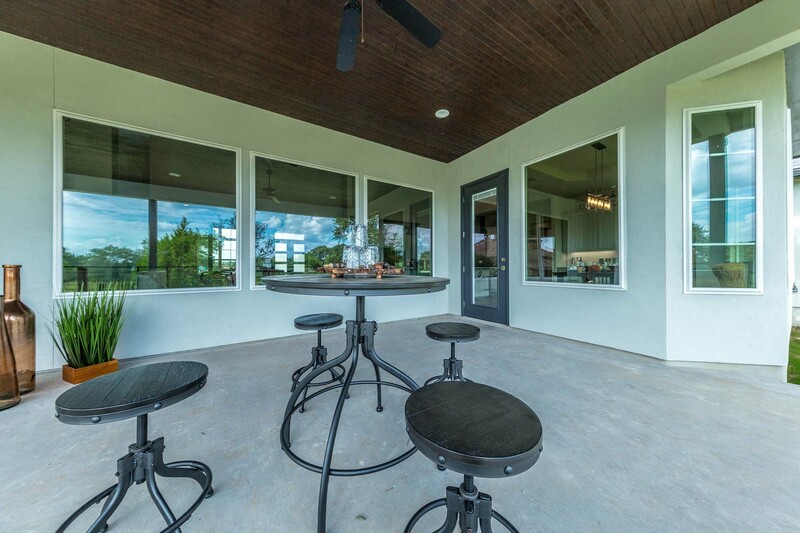 The outdoor space was casually dressed in floor pillows and rugs as well as a bistro style table for sipping wine from the local winery. 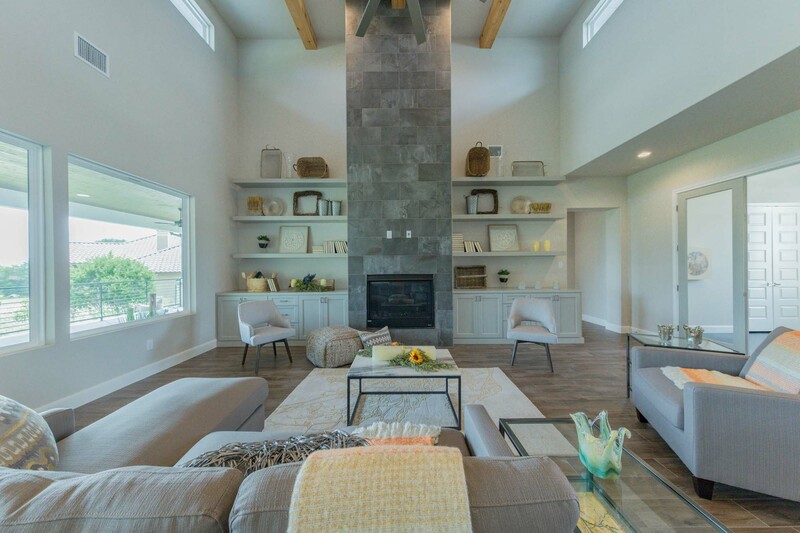 Each of these elements collectively gave the home the transitional-to-soft-contemporary design BC was asking RLO Design to create. 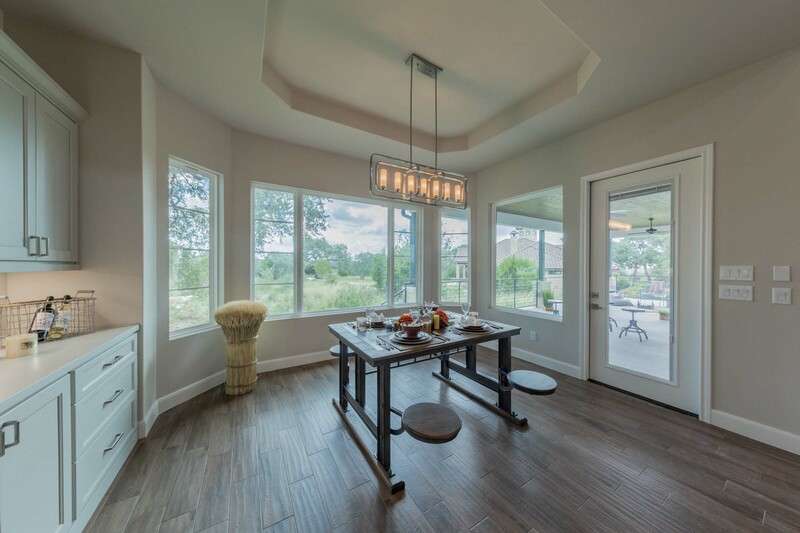 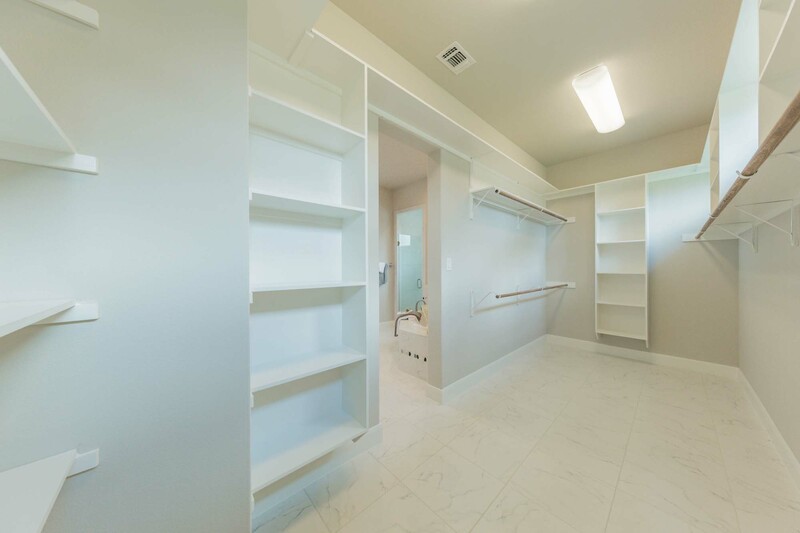 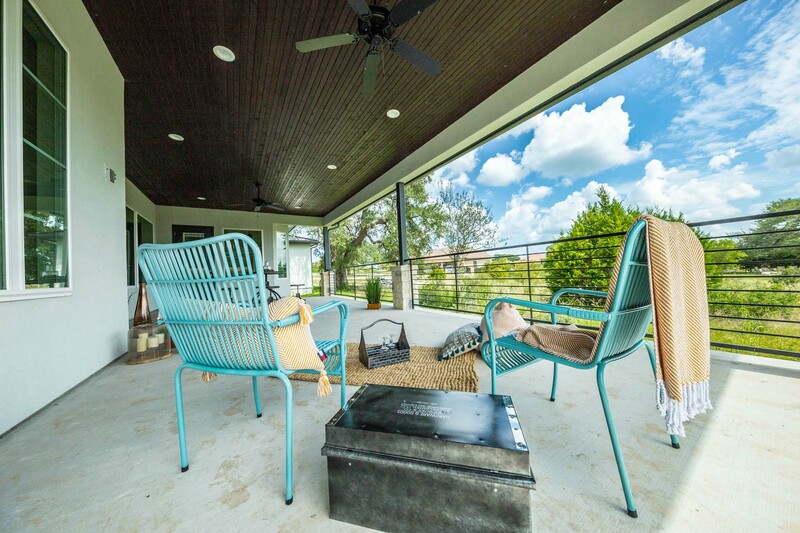 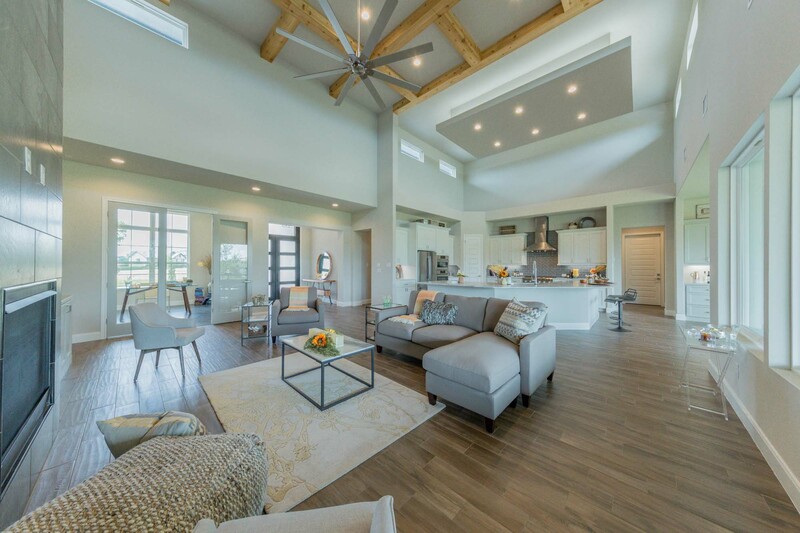 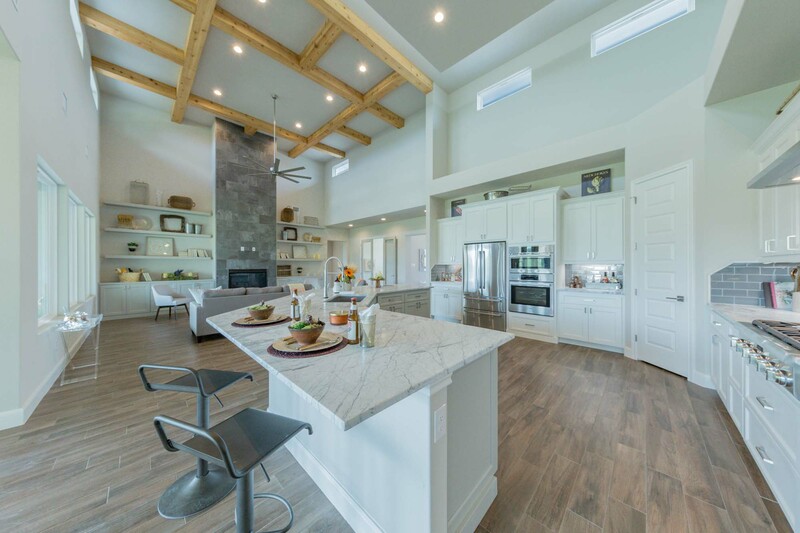 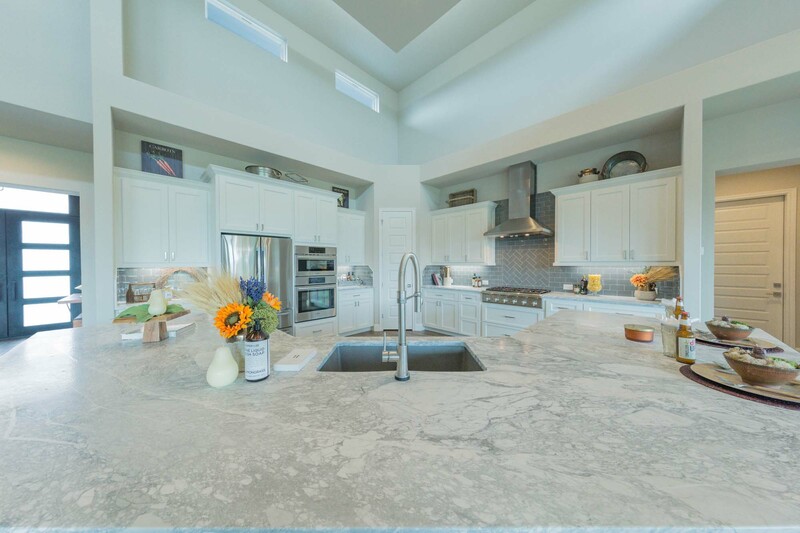 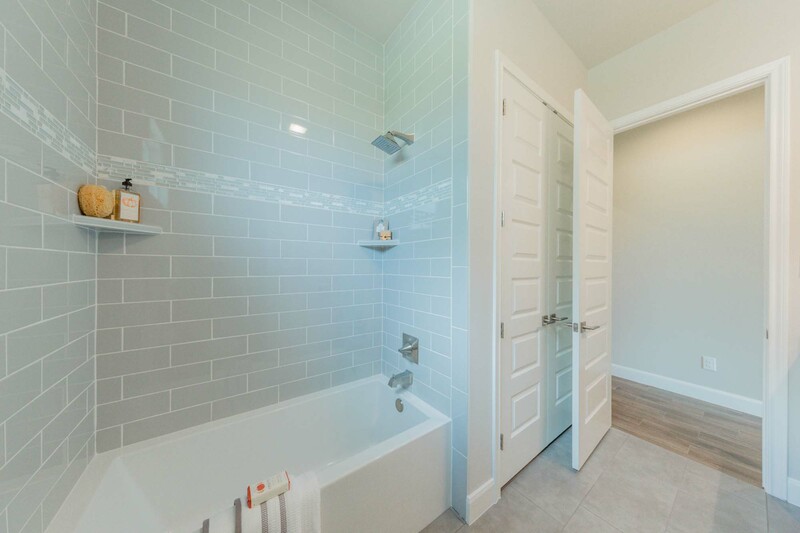 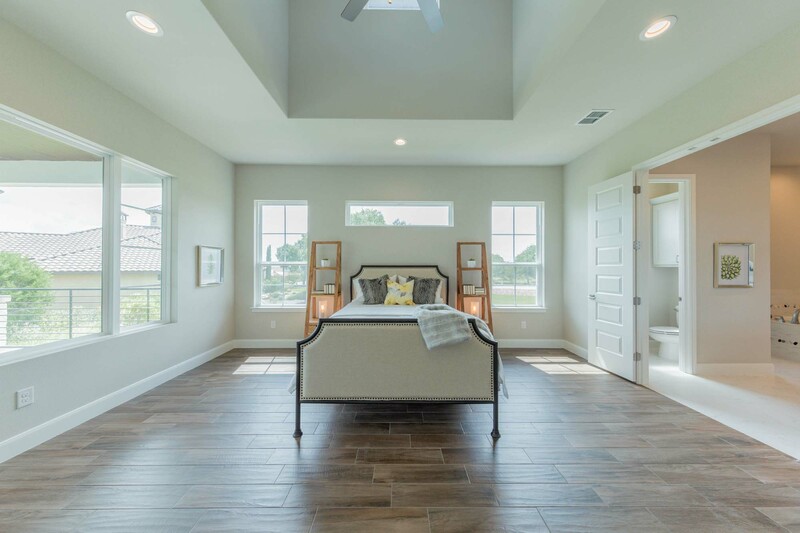 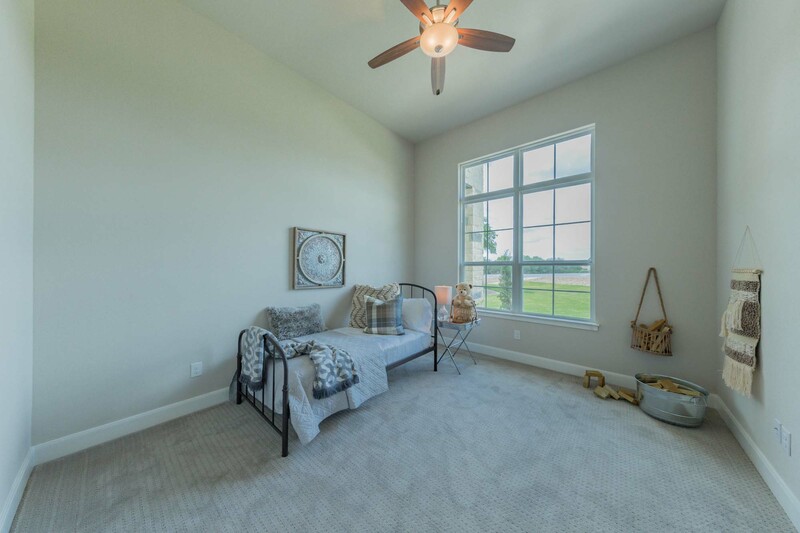 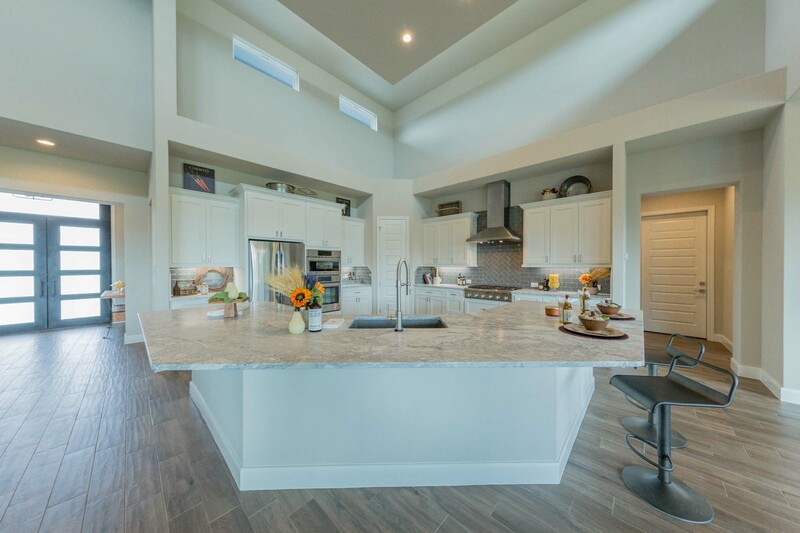 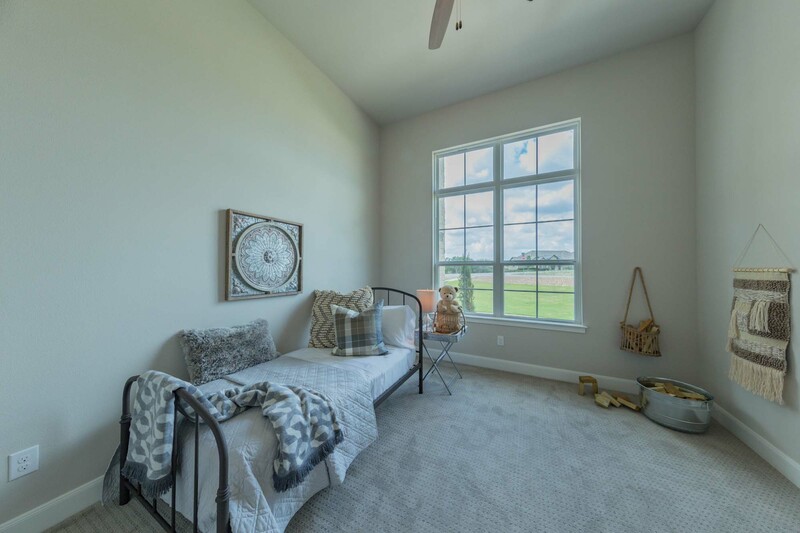 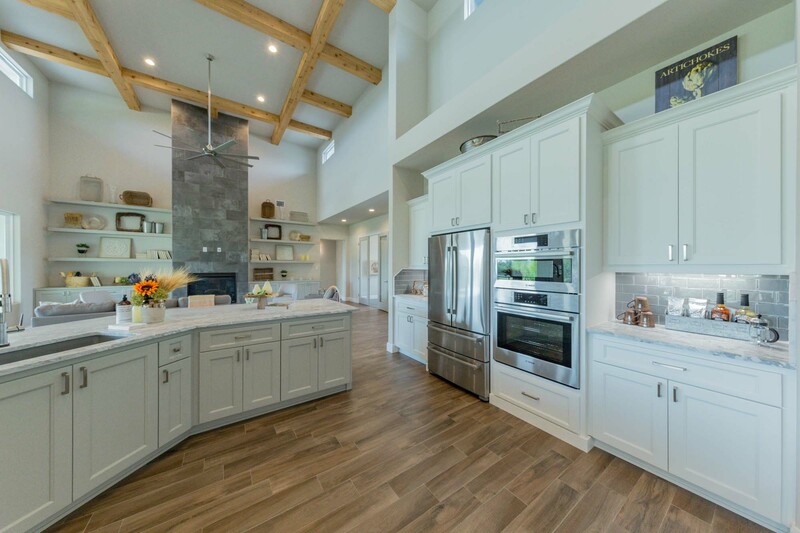 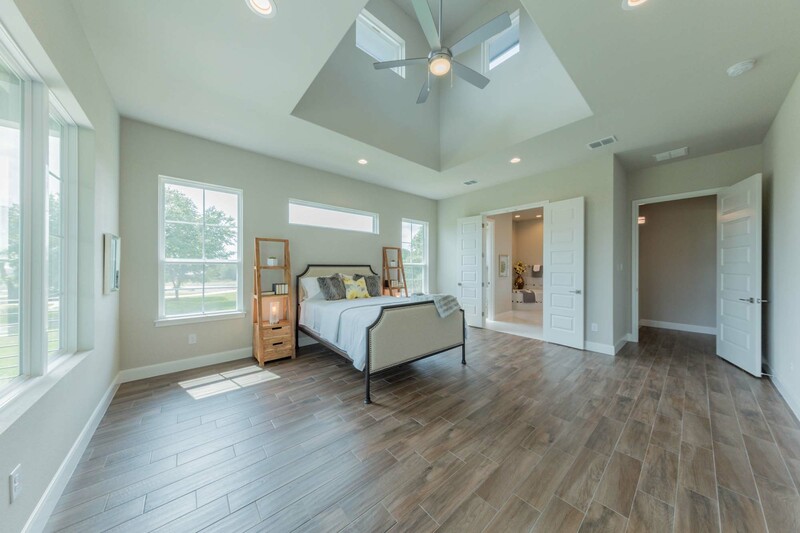 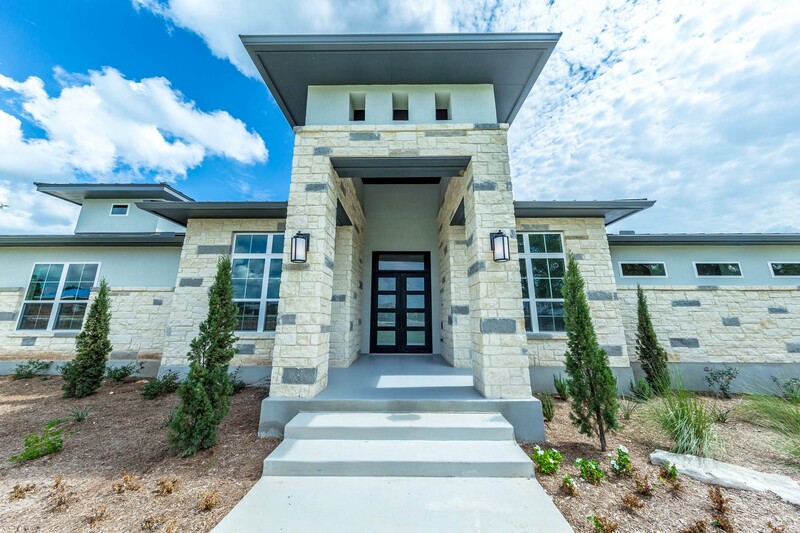 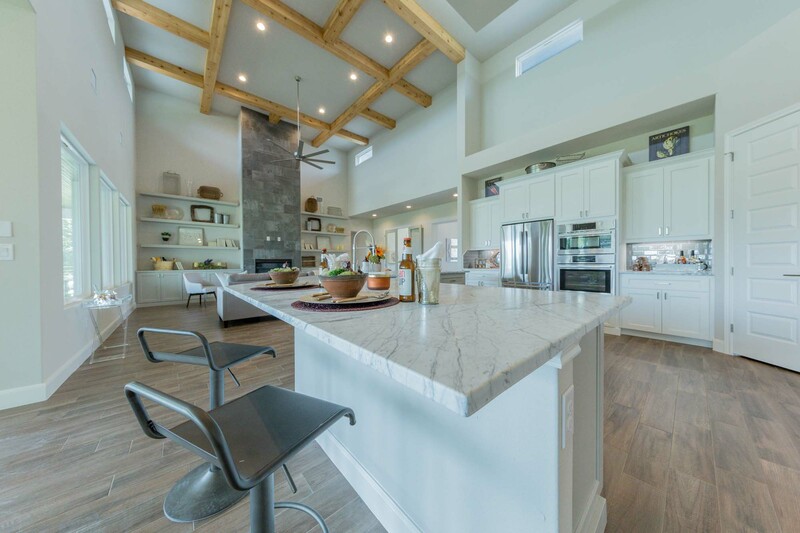 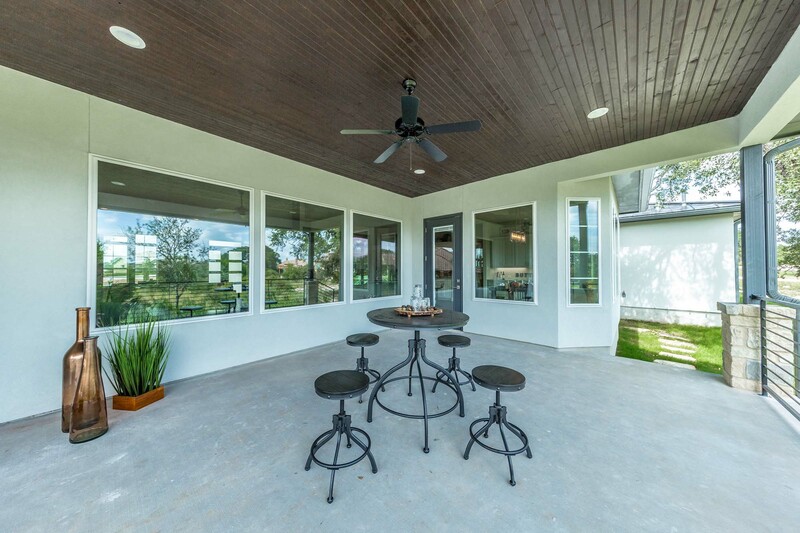 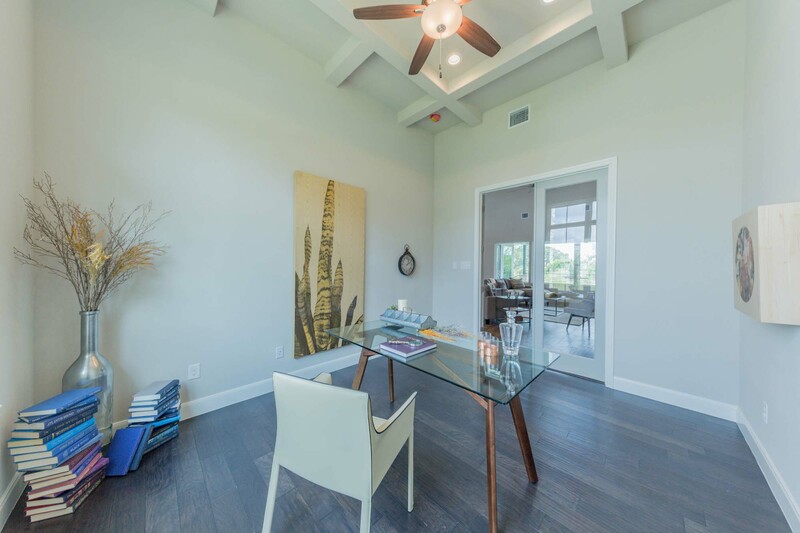 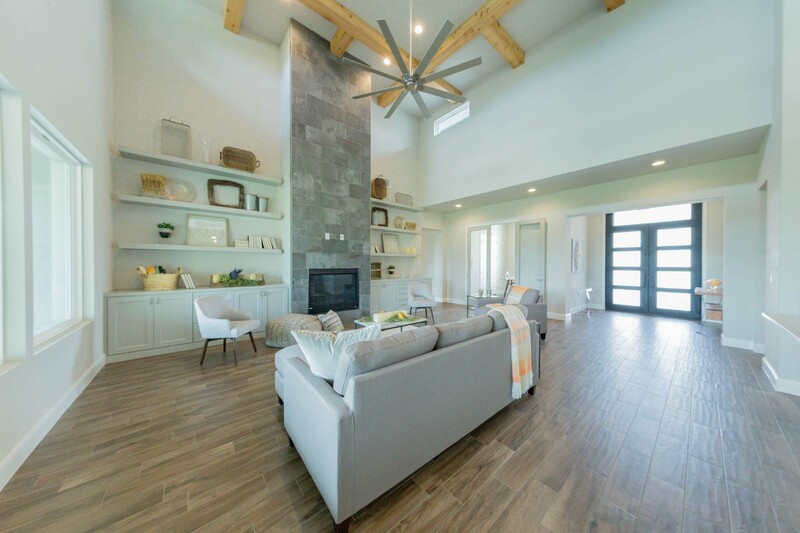 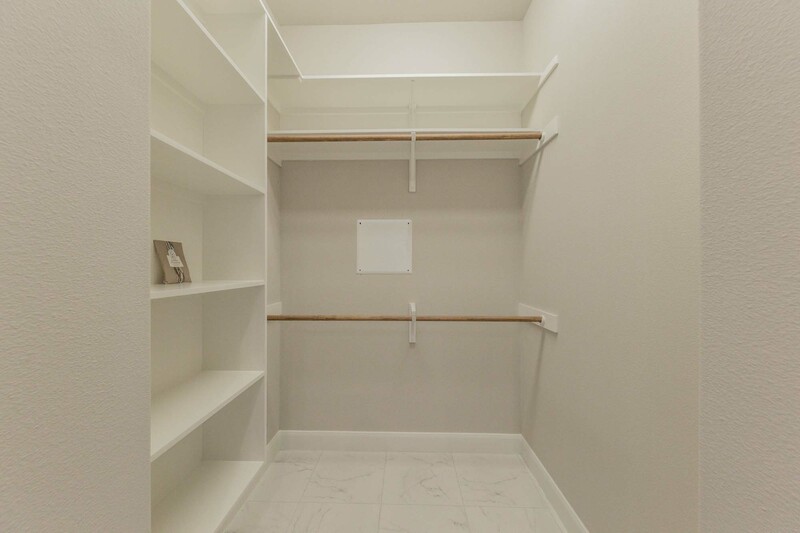 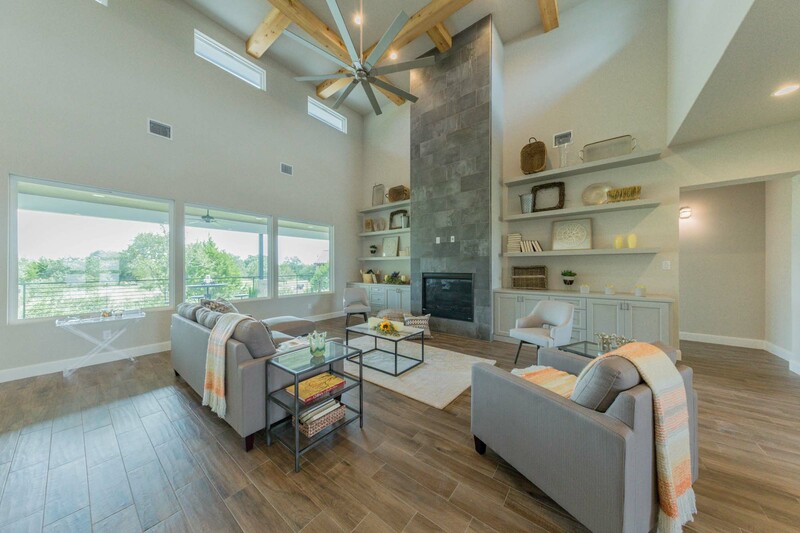 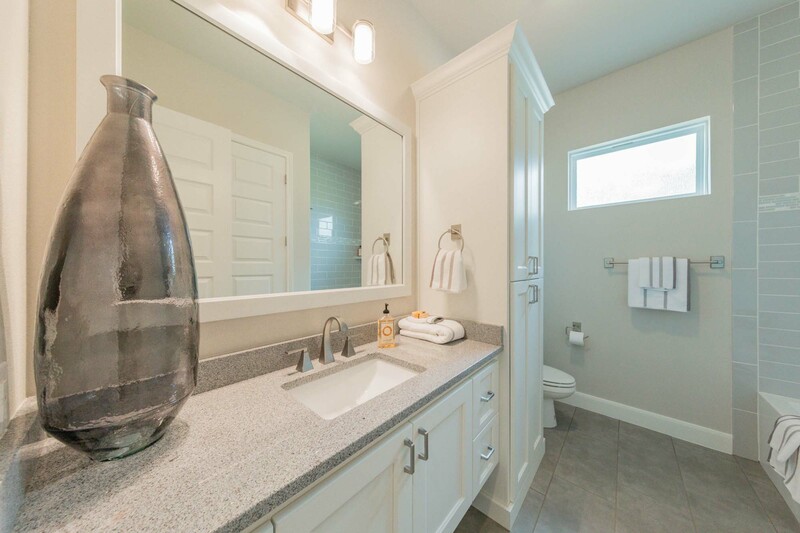 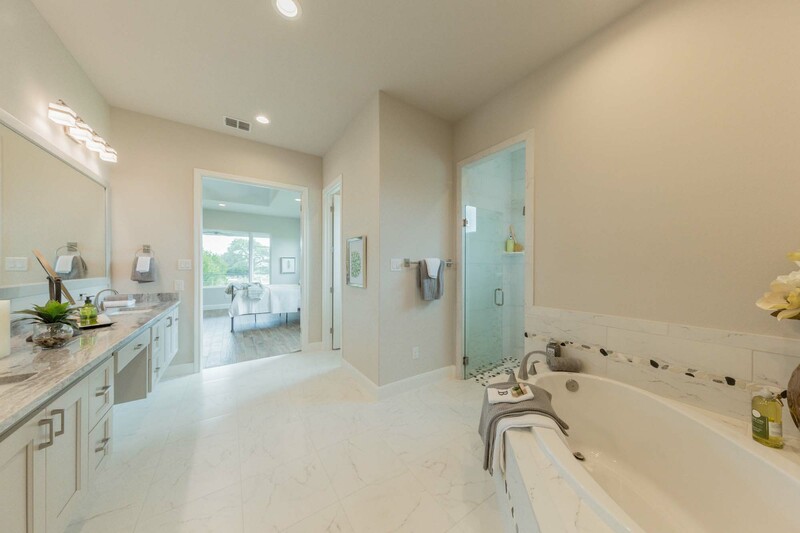 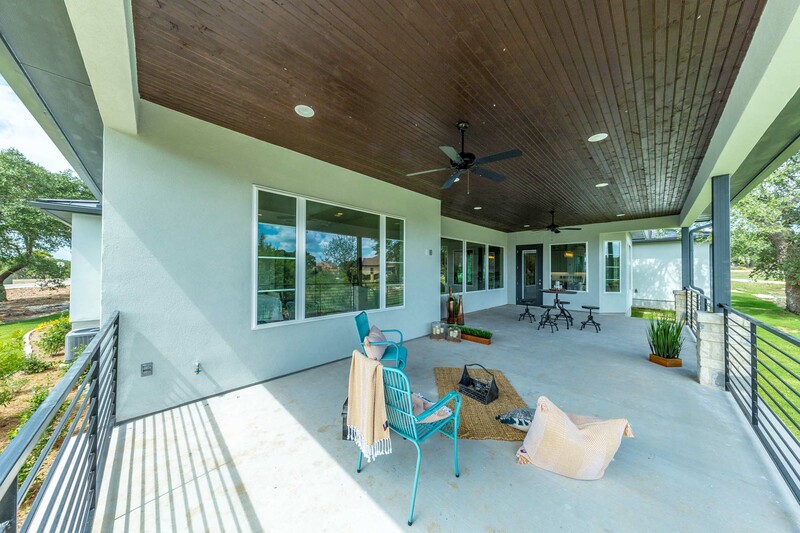 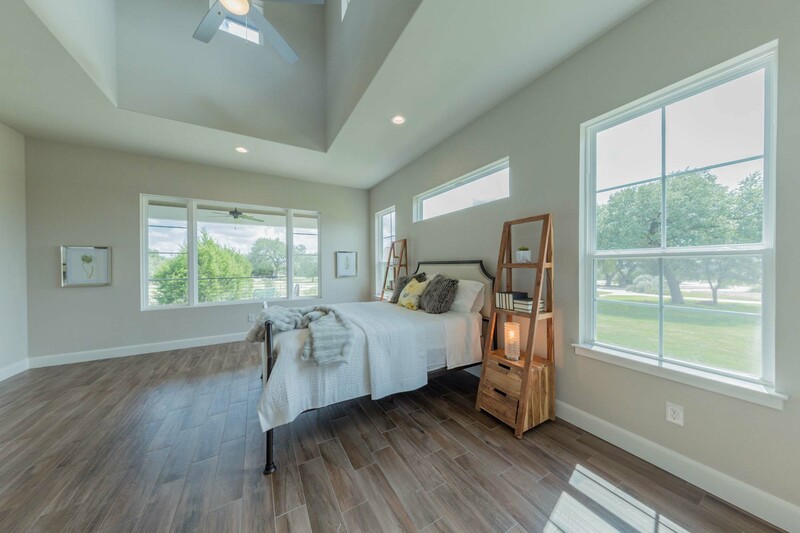 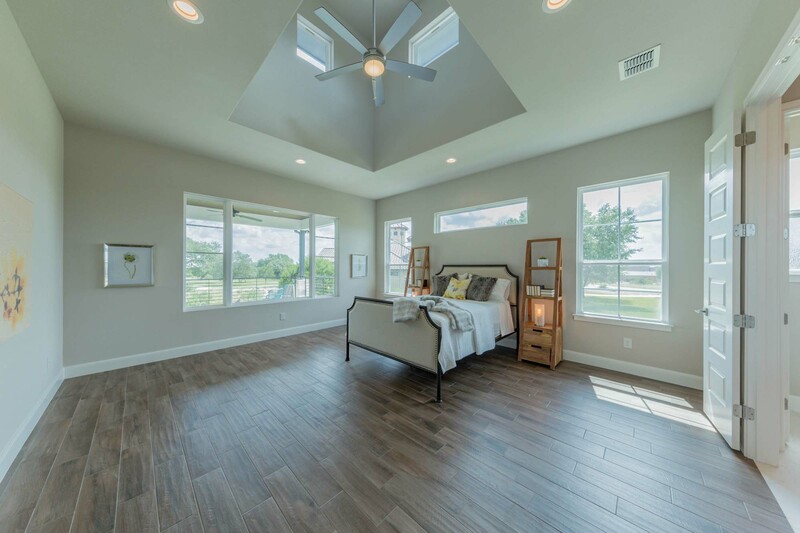 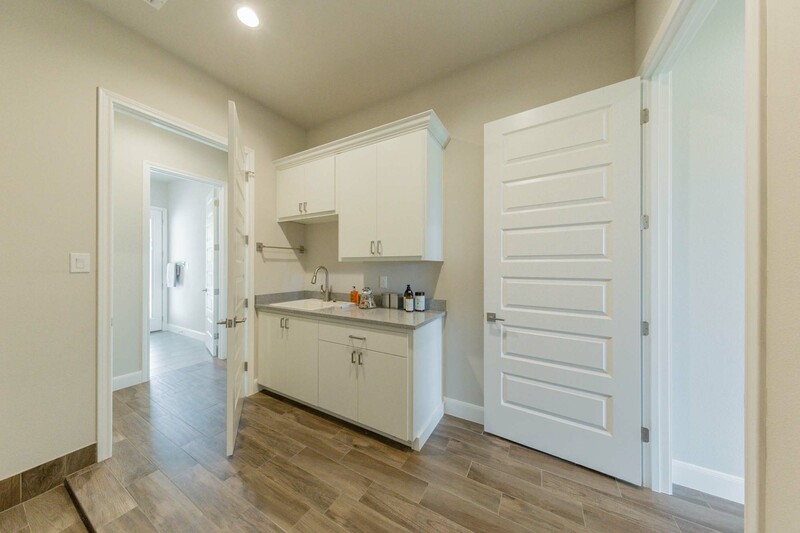 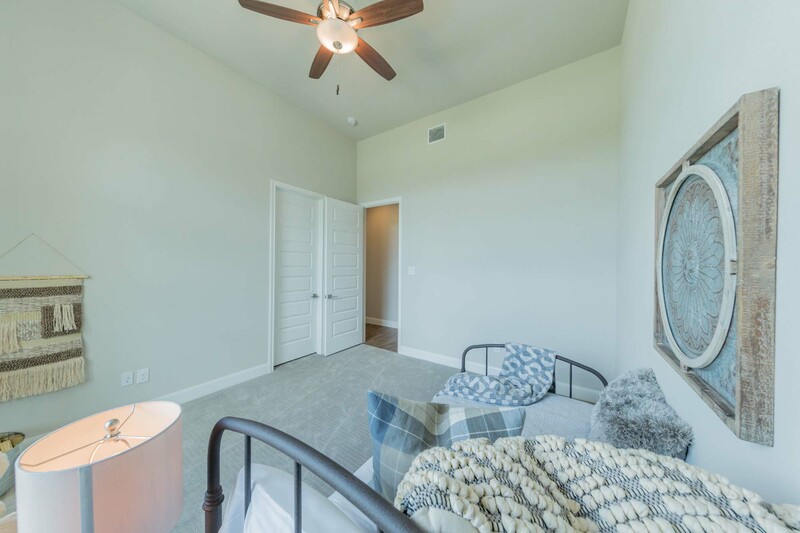 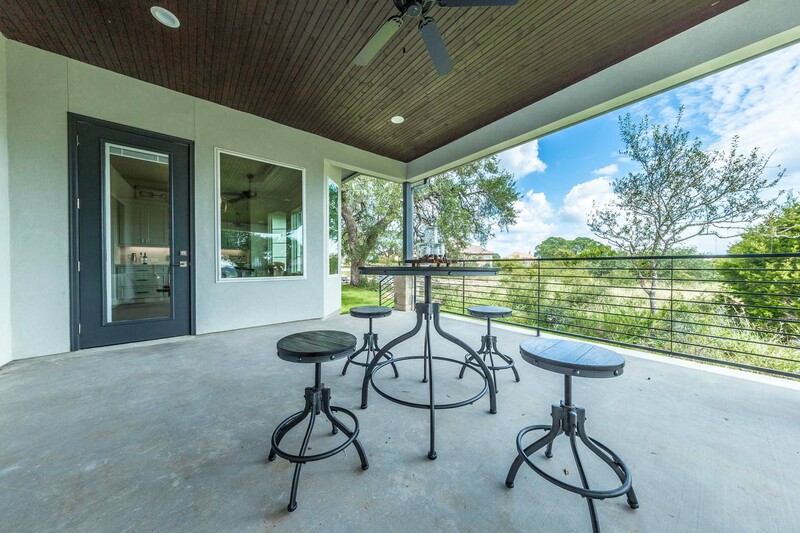 Vintage Way is the perfect model home to tour if you are searching for a home built and designed by a cohesive team of talented trade craftsmen and design professionals. 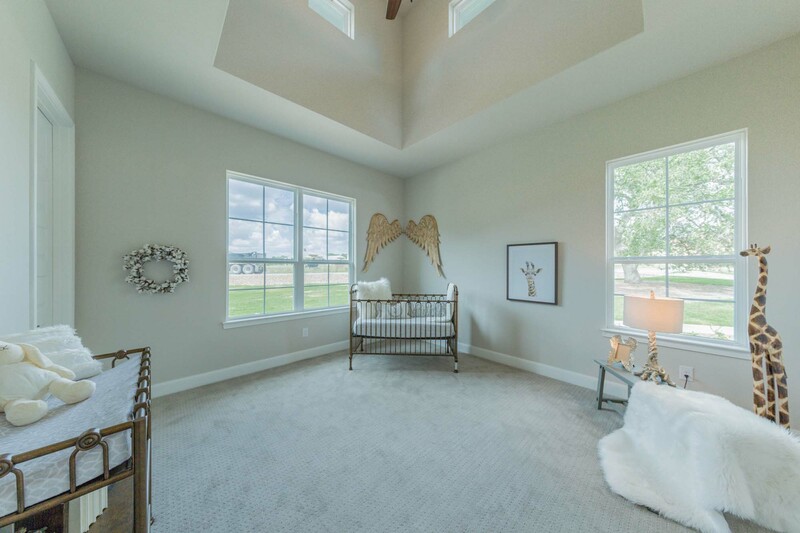 Please contact Rebecca Lightfoot O’Shea with inquiries or to schedule your own personal tour.